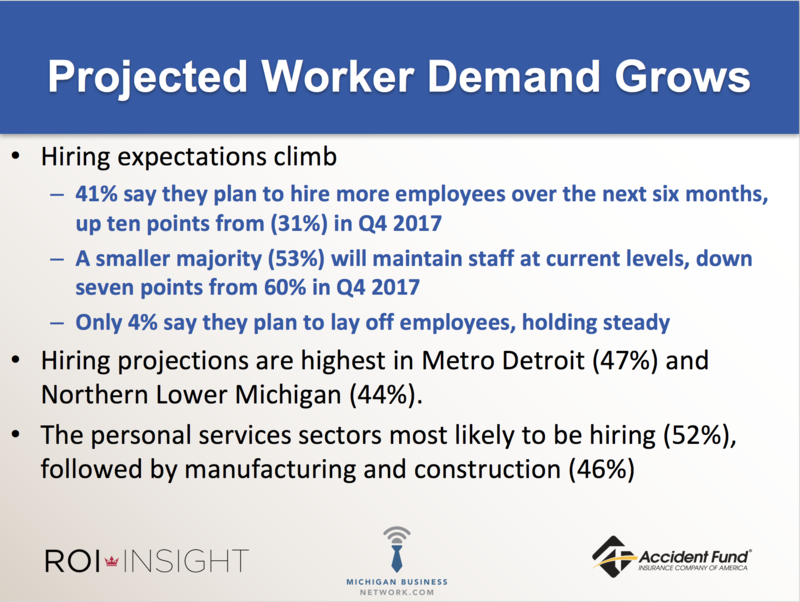 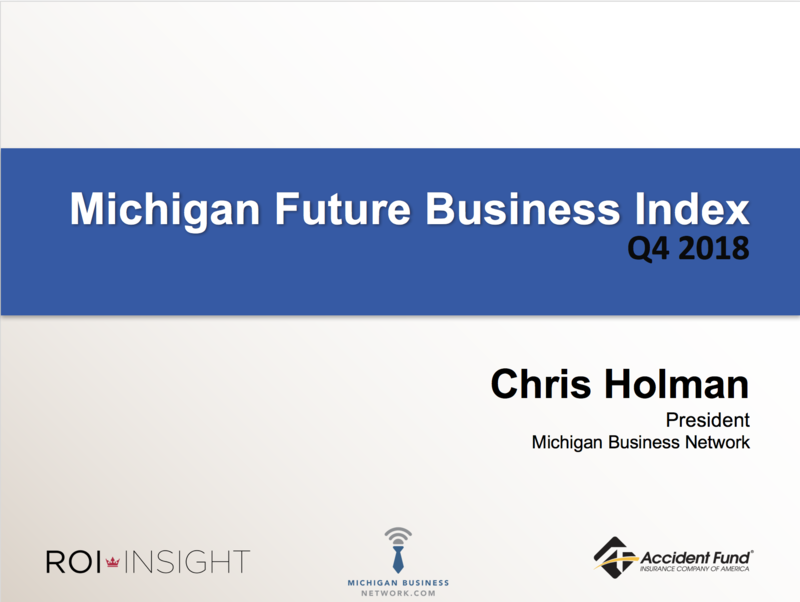 Business leaders from across Michigan recently participated the Michigan Future Business Index Survey. 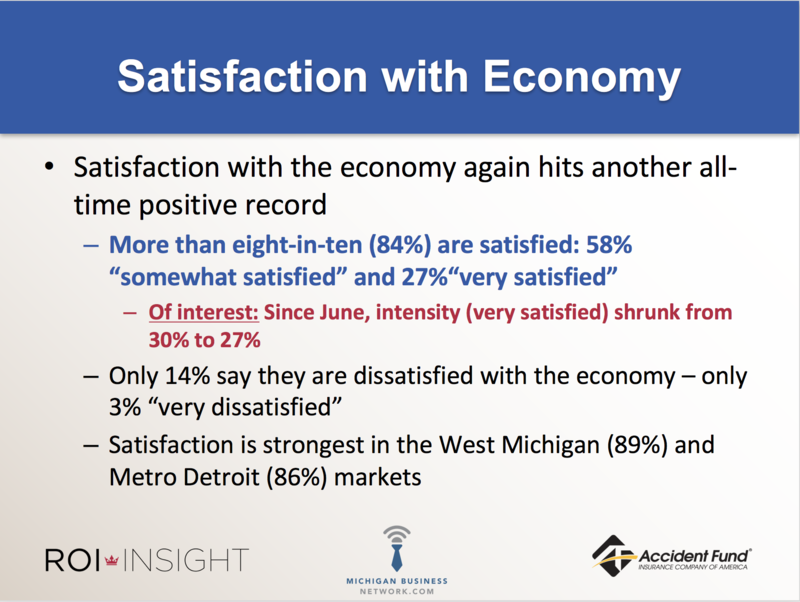 They shared their perceptions of Michigan's economic outlook based on their personal experience. 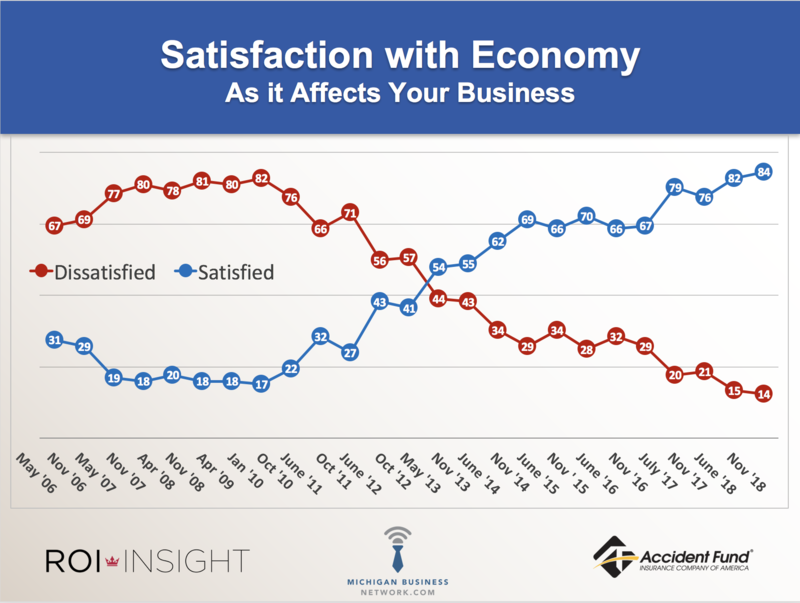 The results are now in for your review! 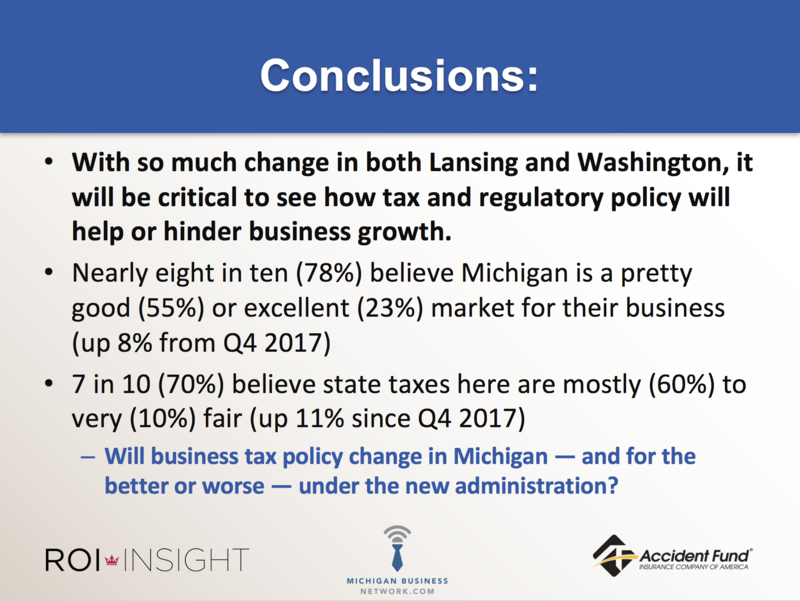 Thanks to the participation of these business leaders we are able to amplify their voices and provide data for business advocacy organizations and policymakers to help Michigan businesses prosper.  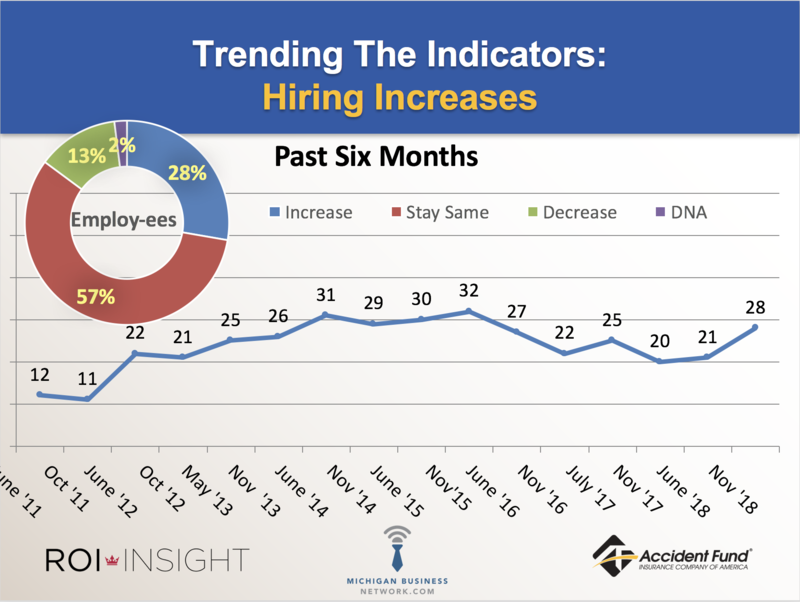  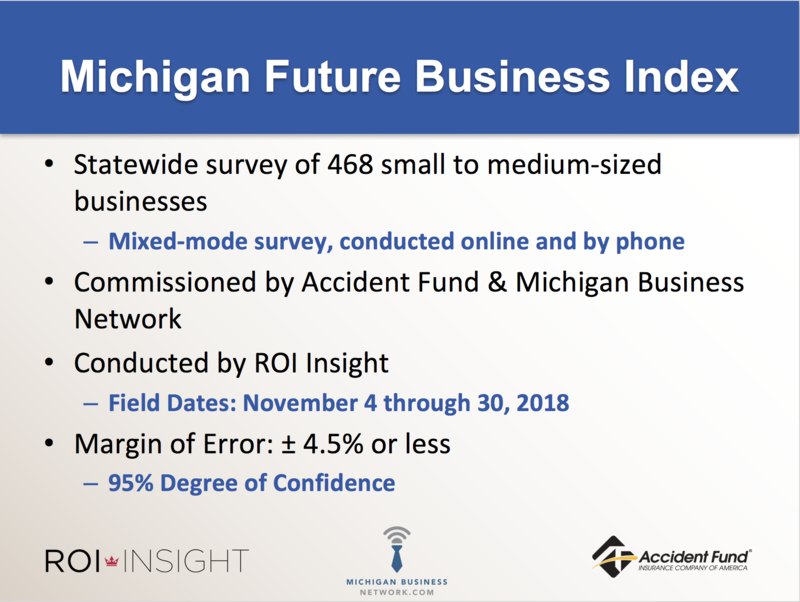 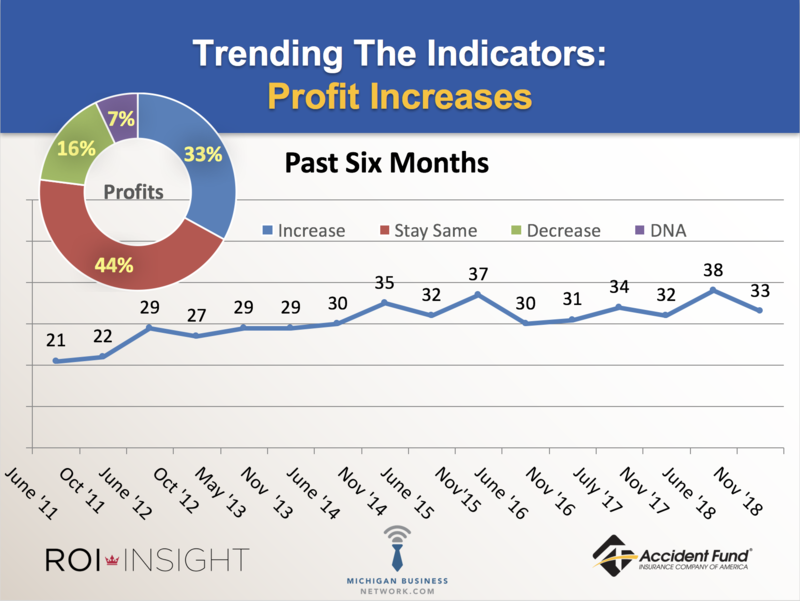 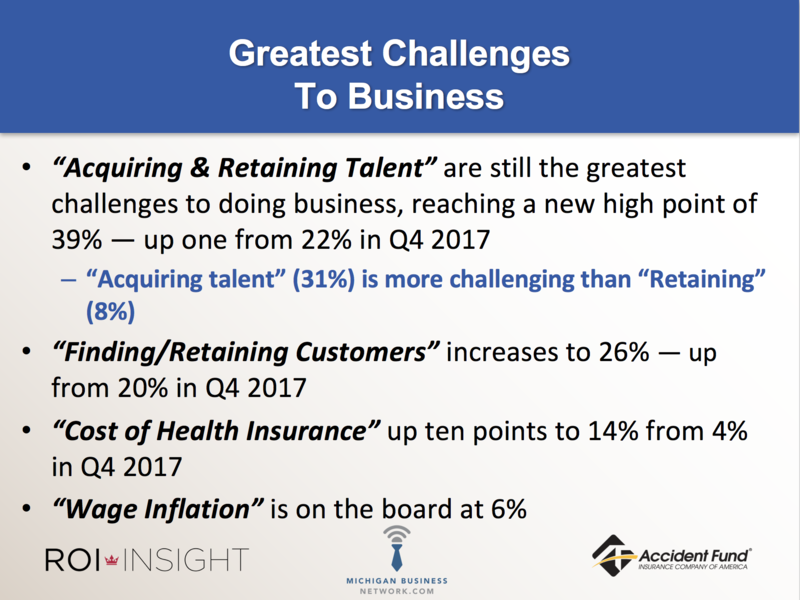 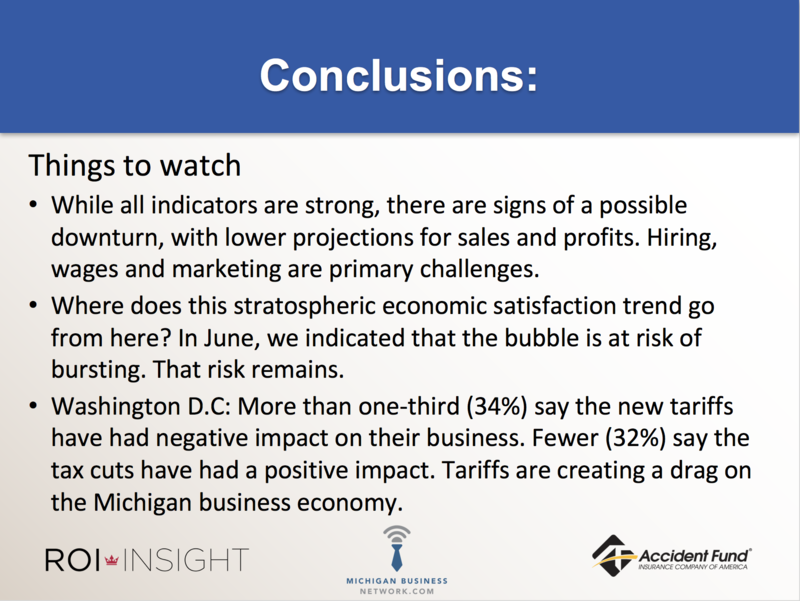 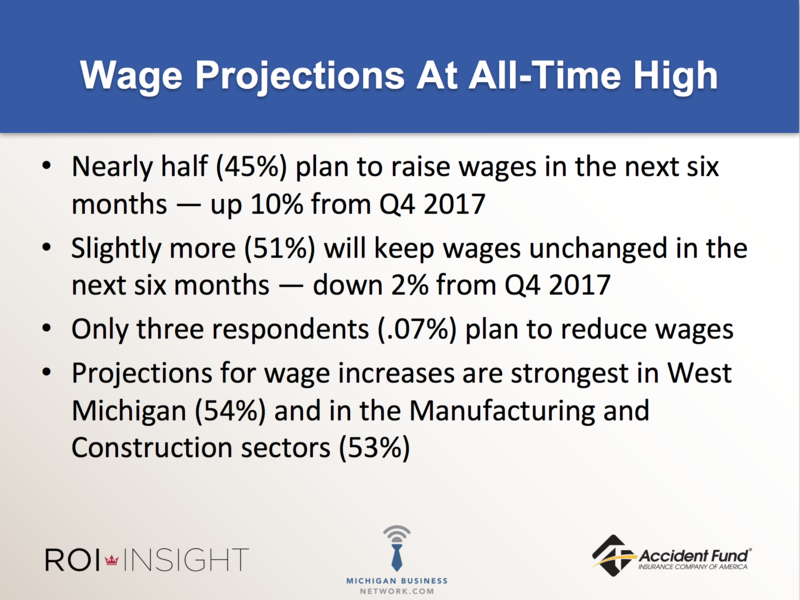  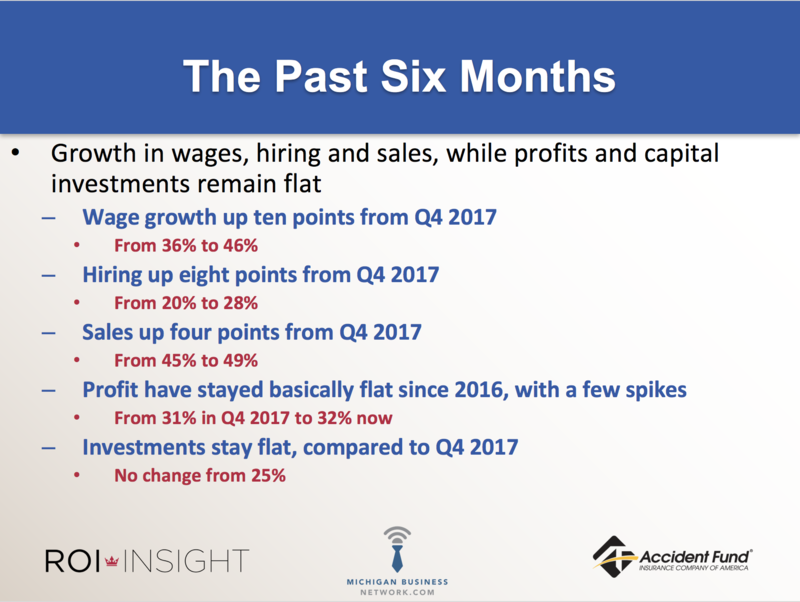 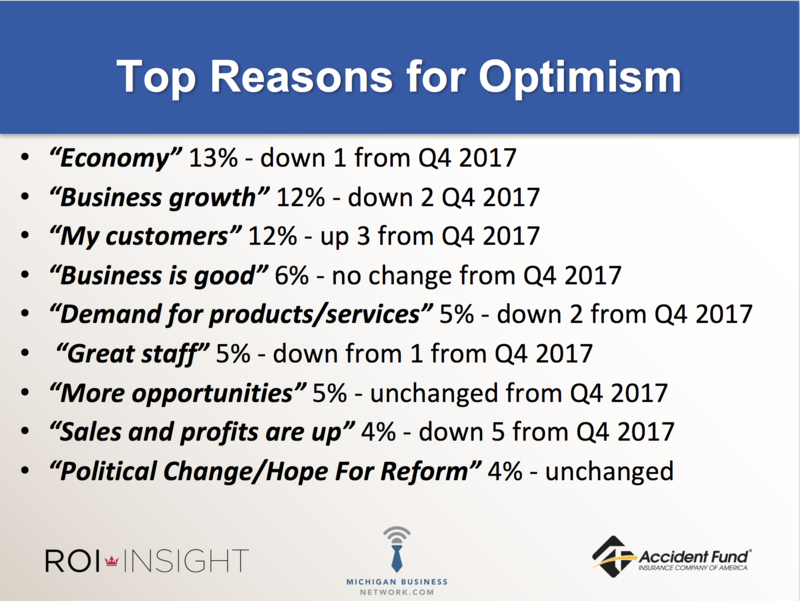 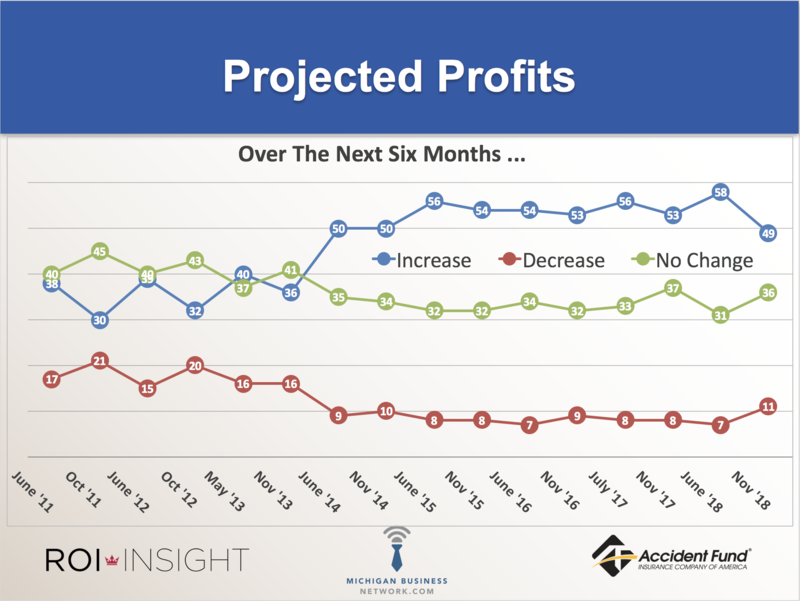 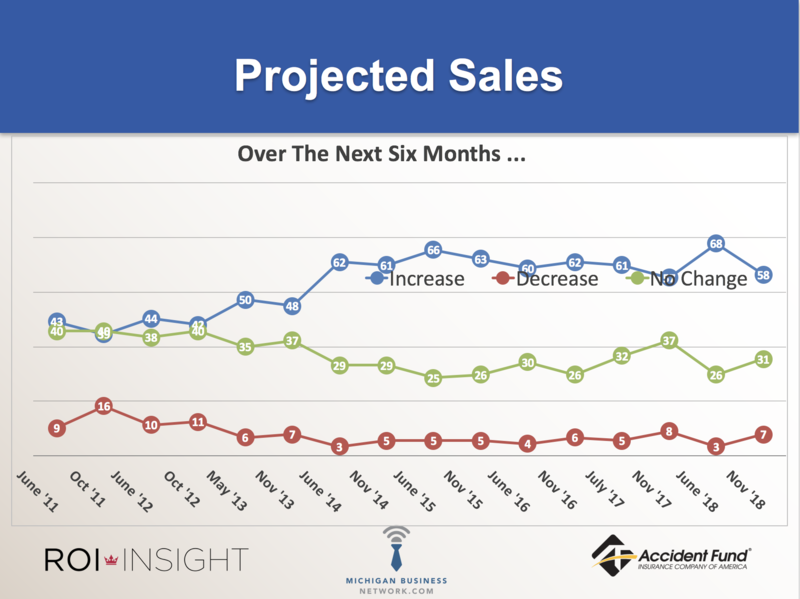 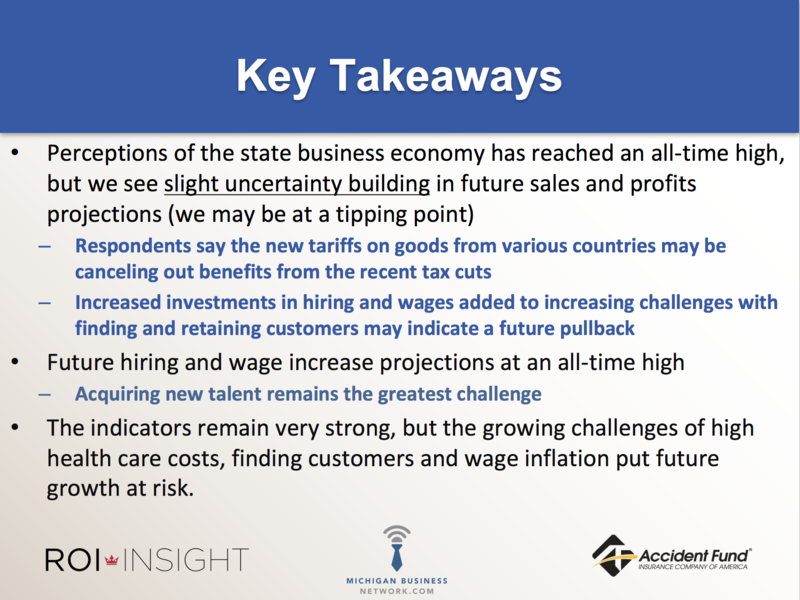 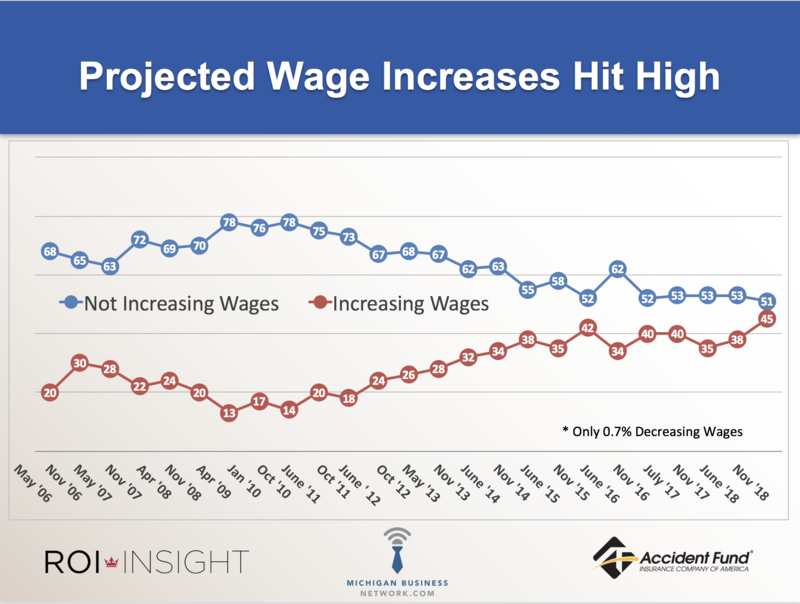 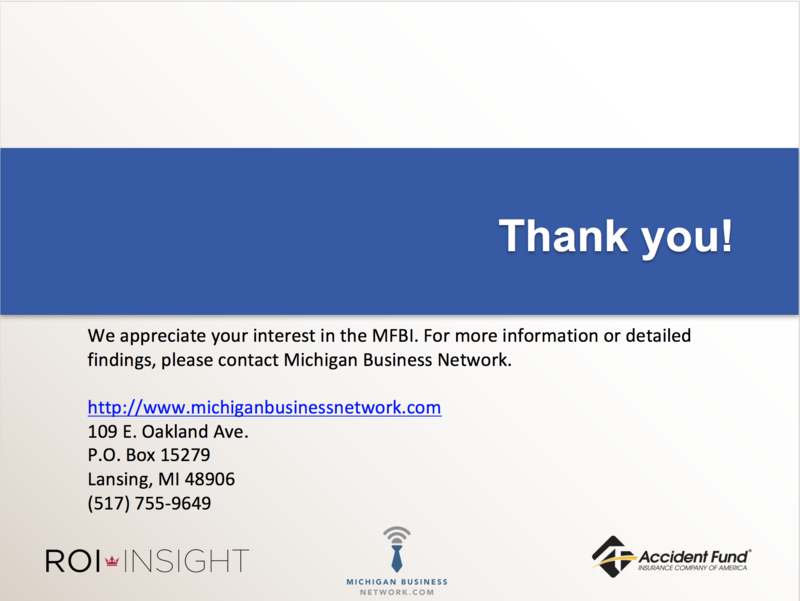 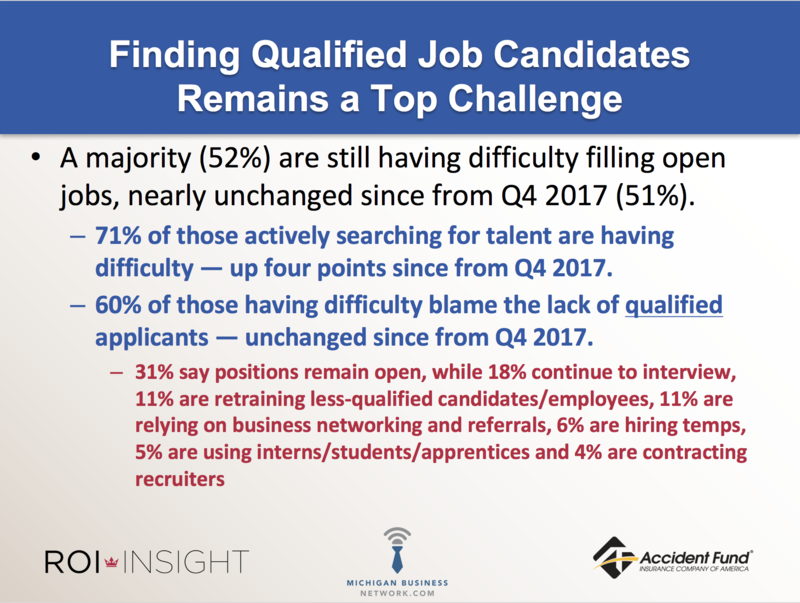 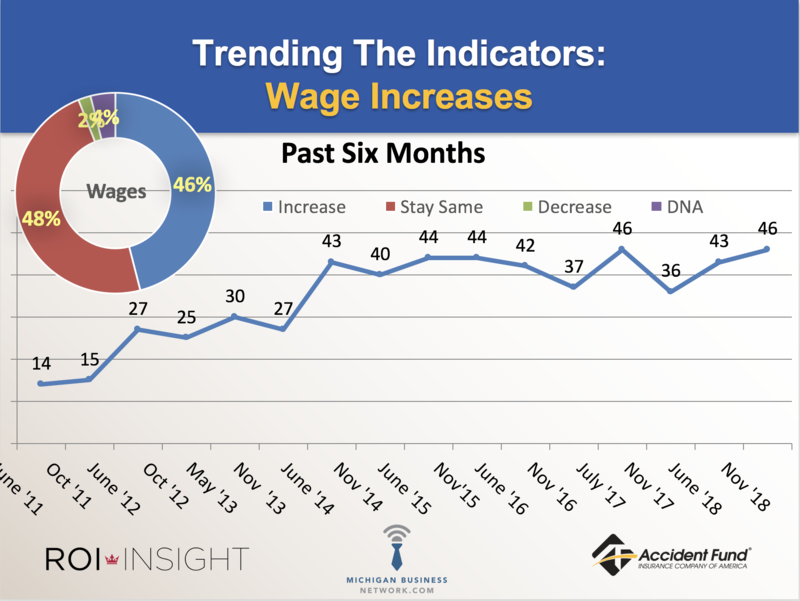 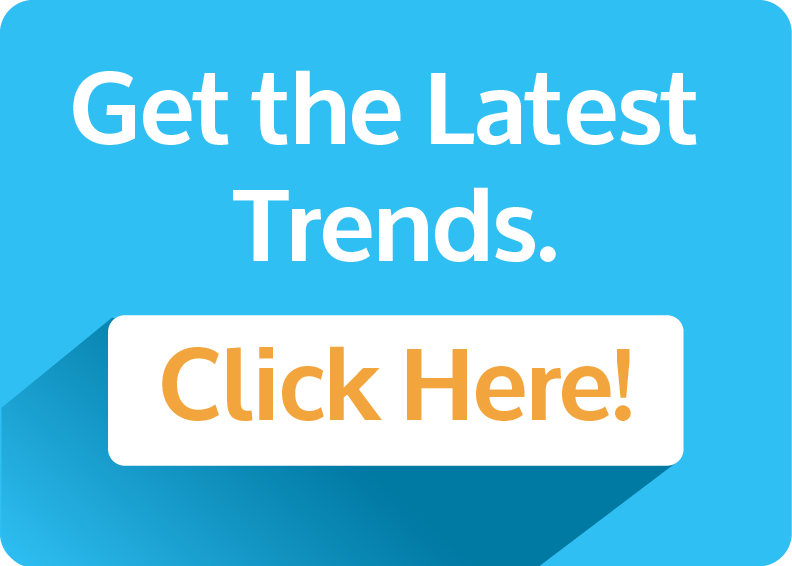 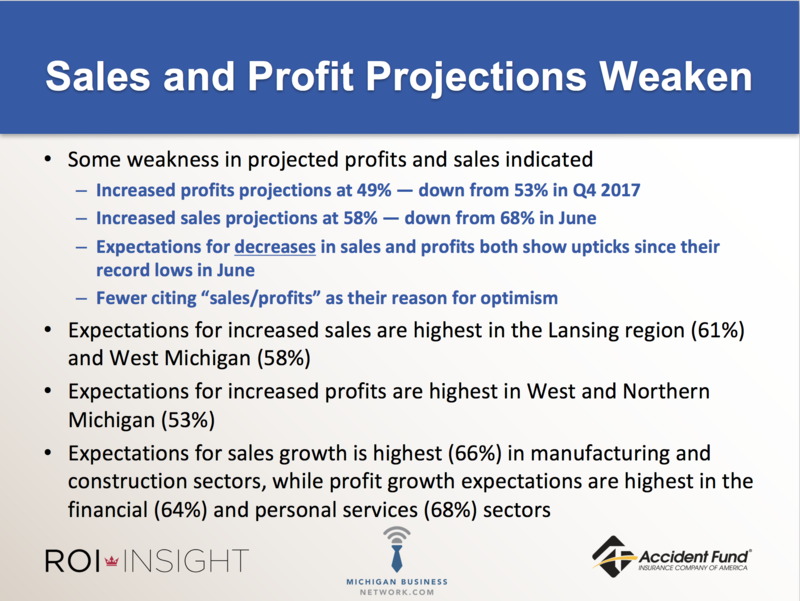 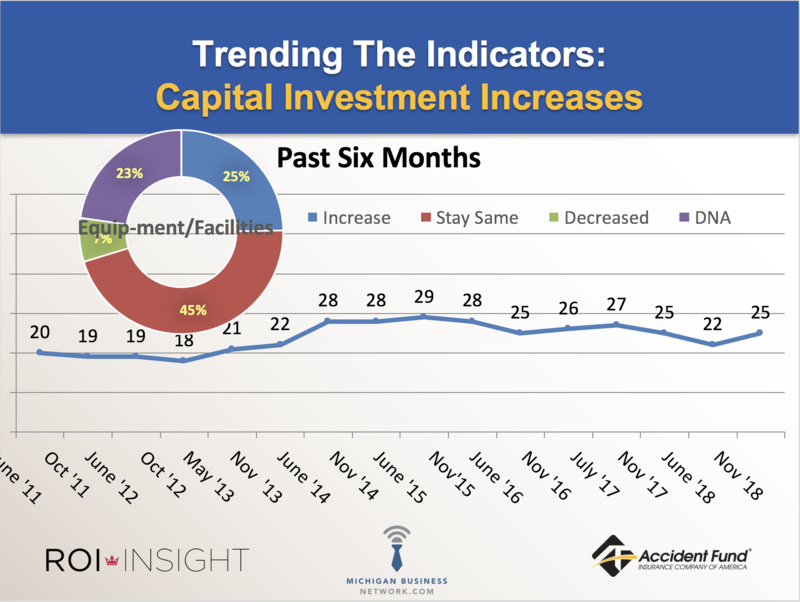 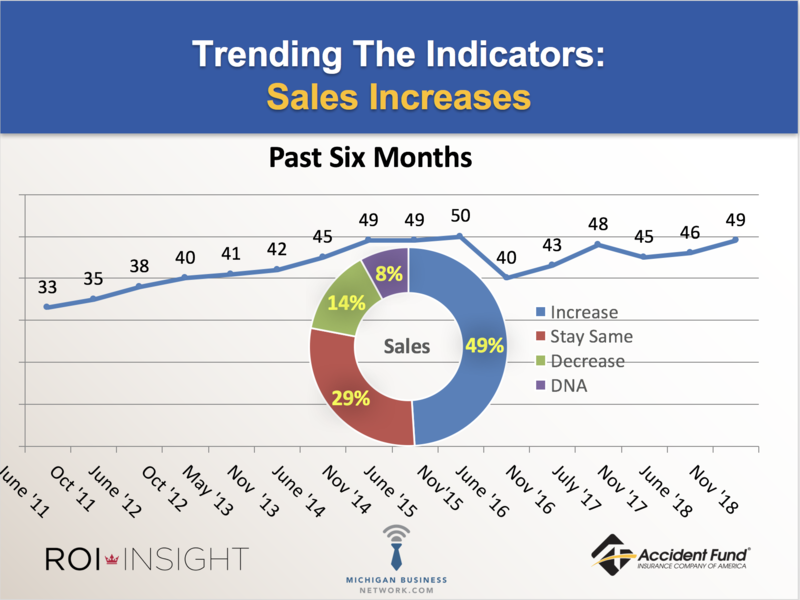 About the survey: The semi-annual Michigan Future Business Index has been commissioned by Accident Fund Insurance Company of America and the Michigan Business Network since 2006 and is conducted by the Paul King with ROI Insights.